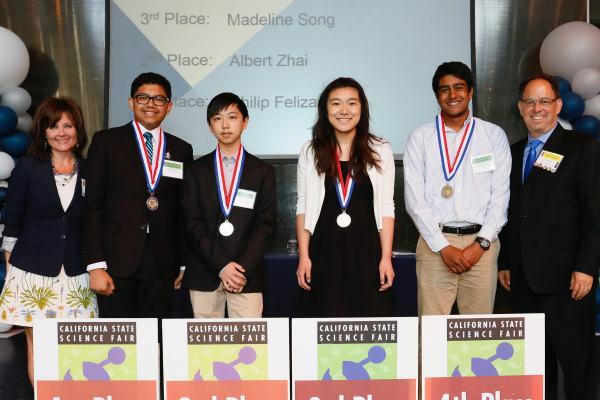 From left to right are: Philip M. Felizarta (First Place), Albert J. Zhai (Second Place), Madeline J. 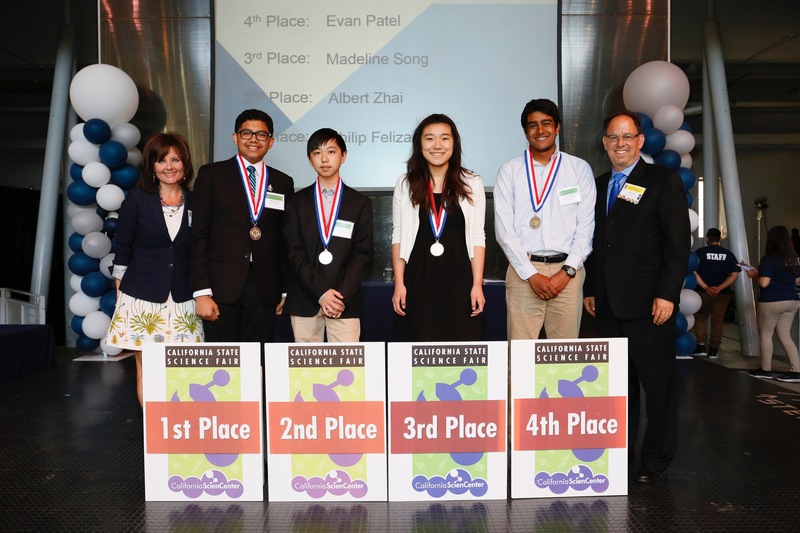 Song (Third Place), and Evan A. Patel (Fourth Place). Flanking the award winners are the co-chairs of the 2016 Fair, Liz Snyder (left) and Hal Snyder (right).